We all know the style! – pin curls, wiggle dresses, 1940s era bullet bras, seamed stockings, cat-eyed make-up and redder than red lips! 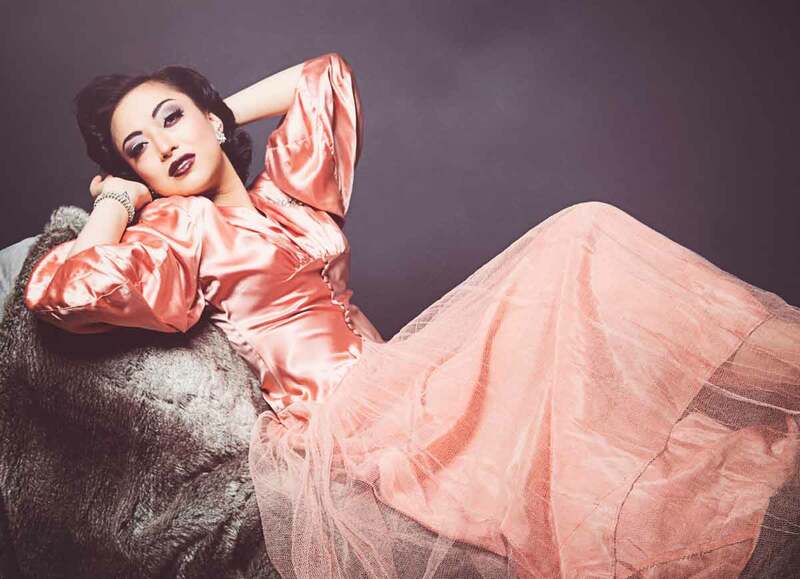 The recent explosion of interest in vintage fashion – in particular the era spanning from the 1930s to the 1950s has brought with it a revival of the pin up culture, by scores of everyday but enthusiastic women, who quite simply love to dress up and enjoy the femininity of these glamorous decades. Pin Up! 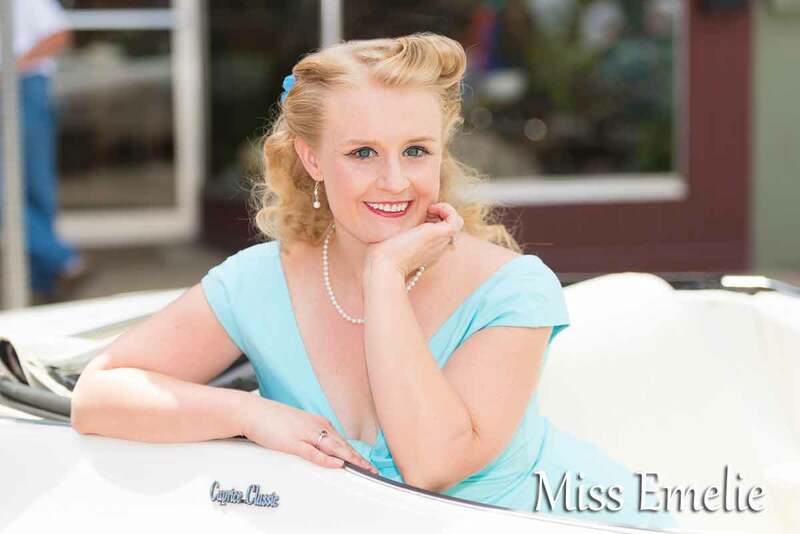 The Movie draws viewers into this pin up subculture. 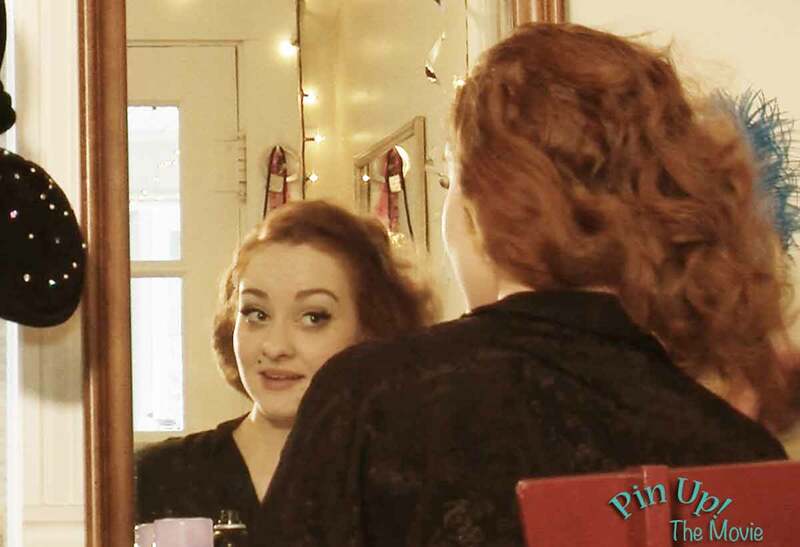 It follows young women ( burlesque models, make-up artists, photographers) through their everyday lives, and learns why they’re drawn to the pin-up style! Pin up! The Movie also features tutorials on how to achieve the perfect cat-eye make-up and victory roll hairstyle. 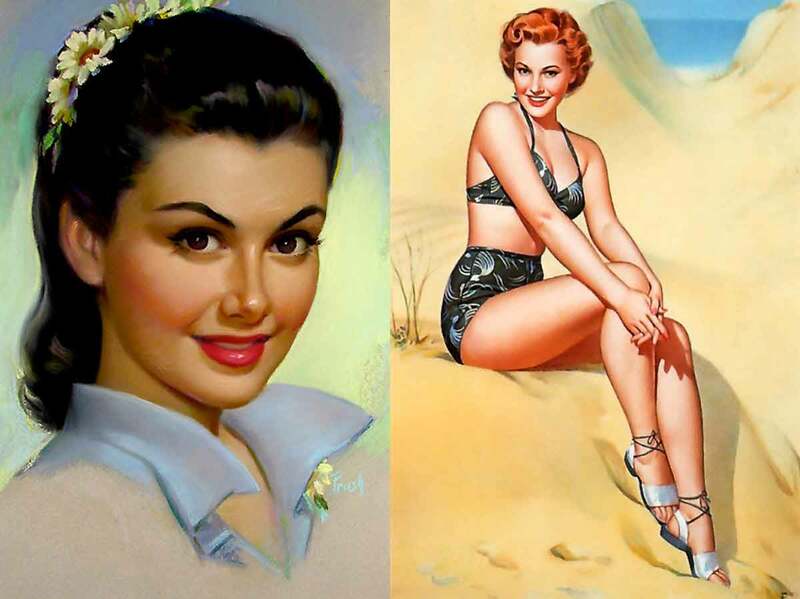 Often considered to be the domain of male artists like Gil Elvgren and enjoyed only by young men during the war who were missing home and girl friends ( WW Two bombers were famous for their nose-cone art ) some of the great pin up artists ( such as Pearl Frush and Zoe Mozert) were in fact women, and the real enthusiasts today are by and large mainly women. “Pin up and vintage culture are exploding – and no one’s made a movie about it,” says Ryan. 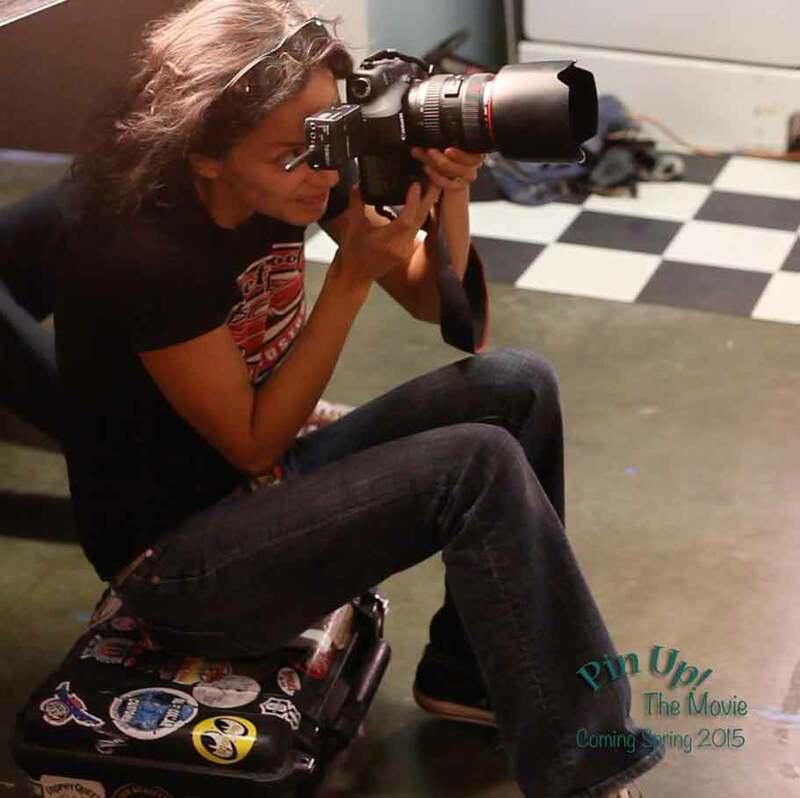 The feature-length film not only follows the women, but we meet their families and friends who have all subsequently been drawn in to the pin up subculture. 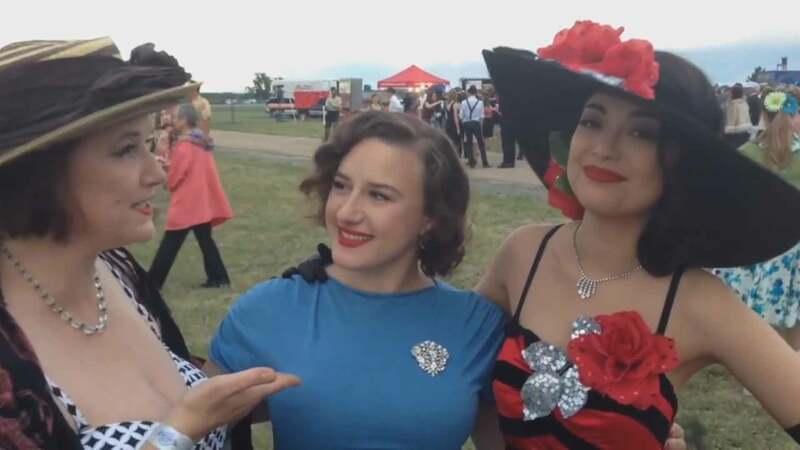 The film visits the annual World War Two White Christmas Ball in Denver and attend the Viva Las Vegas Rockabilly weekend where we get a real sense of the nostalgic love of the 1940s and 1950s and the popularity of retro culture. 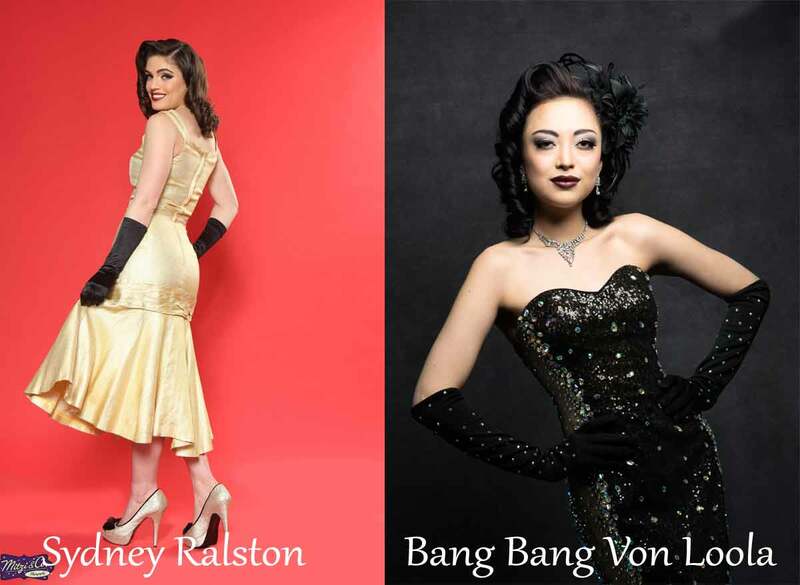 Kathleen Ryan with models Evalette Bizou and Bang-bang Von-Loola at-the-World-War-Two-Ball-in-Denver. So give them a hand and pledge some funds ( as little as $1.00 upwards ). There’s plenty of goodies for anyone who backs this worthy project. Shop faux pi up lingerie from What Katie Did. 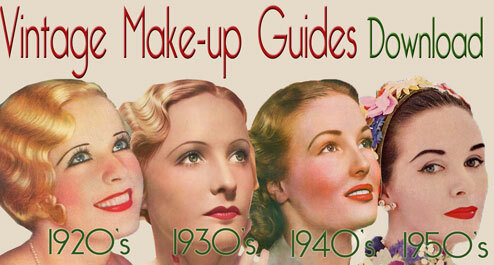 Download direct to your smartphone – original vintage makeup guides.